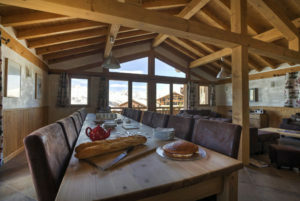 As Christmas descends upon us it can only mean one thing – Ski season is well under way and with terrific weather reports of early snowfalls all over Europe this may be the best winter to go on a ski holiday for years! 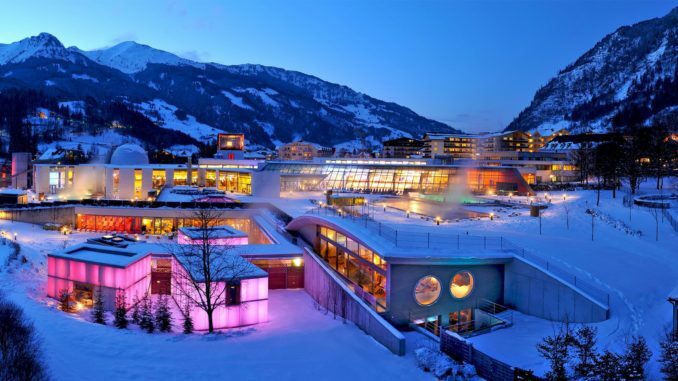 I’ve been researching some resorts in one of the best countries to ski, Austria. 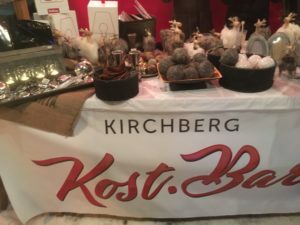 Starting off in the sophisticated Salzburgland, I spent two nights in the beautiful Gastein area which encompasses the towns of Dorf Gastein, Bad Hofgastein and Bad Gastein. When you hear the word Bad in front of a place name it means that this is a spa town and wellness centre. 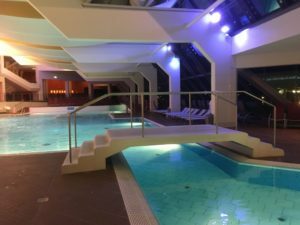 Many of these pop up all over the region and with public thermal baths in the centre of Bad Hofgastein but linked by underground tunnels it really is easy to enjoy the warm waters filled with medicinal and healing properties. The pools and treatment rooms are also perfect after a day on the piste for all those wanting to soothe sore muscles and bones. 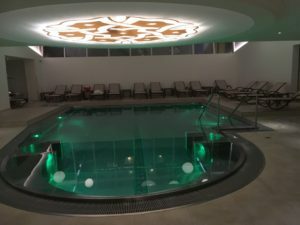 I was staying at the 4* hotel Norica which has its very own thermal spa. If you’d like to try this luxury hotel with a great location then see this offer from topflight. 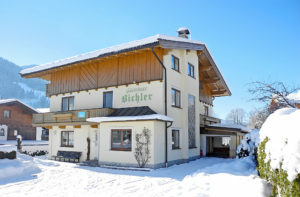 https://www.topflight.ie/ski-breaks/pkg/austria/soll/gasthaus-bichler?data_filter_travcount=4&select_week=null&data_filter_airport=DUB&data_currency=EUR If you would like a little privacy but be prepared, most spas offer a commando option between the hours of 15-1900hrs. If you do venture into the Alpentherme (public baths) at about 1700 hrs it may be worth getting into your birthday suit as a display of sauna expertise is followed by a beer for all those enjoying the experience. After a while you won’t know what you are wearing! you will feel like you are walking through a living postcard. However a couple of hours on the slopes at Angertal will leave the most avid skier with no doubt that they are in ski heaven. 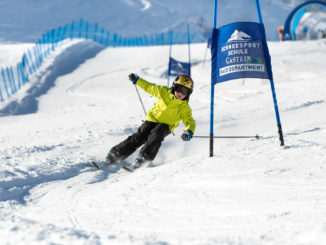 I visited here several years ago with the kids and can vouch for the expert tuition and attentive full days ski school where little ones as young as 3 are taken care of while parents can enjoy the mostly red and black slopes. I moved through some pretty towns as I ventured into the Tirol and Kitzbuhler Alpen. The Tirol is picture postcard pretty and many of the hotel properties and guesthouses are several hundred years old. 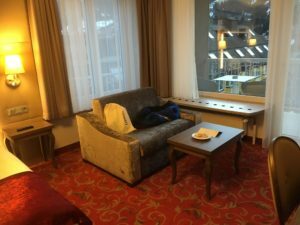 I checked-in at the hotel Metzgerwirt in the town of Kirchberg. 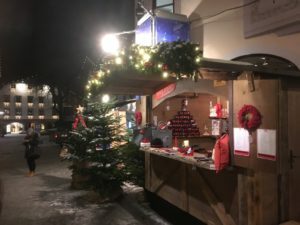 It’s only a few kilometres from Kitzbuhel and the pretty Christmas Market that is in its fourth year. With so much snow, Gluhwein and my new favourite, Rum in Hot Chocolate, it’s the very place in the world to enjoy a winter wonderland. 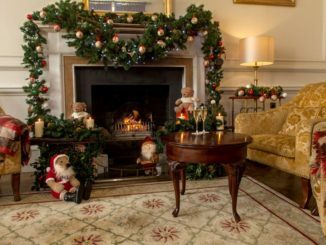 I picked up a couple of hand made decorations for the tree and explored the opulent shops. 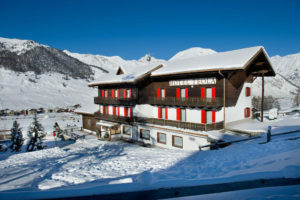 Kirchberg is a more reasonably priced resort but with all the super views and amenities of the Kitzbuhler region. 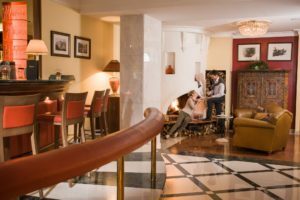 Enjoy some all-inclusive apres-ski at Heidi and Peter pub for only €19.95 and stop off at the Ice Bar where the apres-ski goes on and on. Food is another favourite ad with warm restaurants offering all the local favourites of schnitzel and strudel. Be warned the free schnapps digestive given by most restaurants can be lethal! 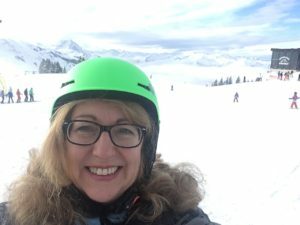 I enjoyed snow shoeing and sledging so you don’t have to be an expert skier t make the most of a ski holiday – and don’t forgot those spas! 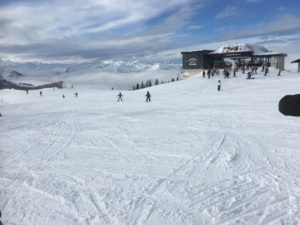 If you would like to dip your toe into the world of snow then I’ve gathered together some super ski deals. Even if you haven’t skied before or feel a little nervous there’s still lots to do and let’s face it….everyone can apres-ski!!! Here’s a range of offers from Topflight. 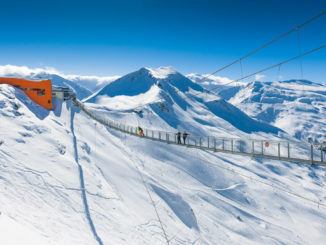 Experts in Ski Travel from Ireland. Prices include return flights from Dublin, accommodation for 7 nights on board basis as stated, transfers, taxes and services of the Topflight representative in resort. To book or for more information call Topflight on 01 240 1700, visit www.topflight.ie or contact your local travel agent. Keep an eye out for Topflight’s 12 days of Christmas which continues. Tuesday’s deal is 1/2 price lift passes in Austria on lots of dates.There will be further deals on 20th & 21st December. March 3rd for one week from only €499 pp. All prices are per person sharing (unless otherwise stated). Prices include return flights from Dublin, accommodation for 7 nights on board basis as stated, transfers, taxes and services of the representative in resort. Get away while the kids are off school for their February Midterm. 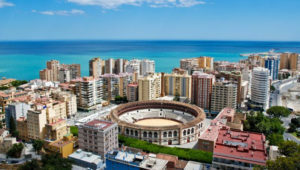 7 Nights in Torremolinos in the 4* Puente Real Apartments, half board, with flights from Shannon. February to March 2018. From €449pp. TUI specialises in holidays tailored to suit the needs of modern Irish families. 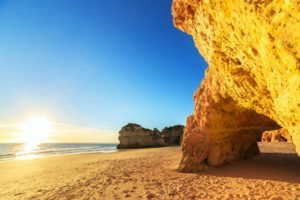 We offer package holidays from a range of Irish airports to destinations throughout the Mediterranean, where you can stay at our SplashWorld resorts, Holiday Villages or SuneoClub hotels. They’re exclusive to TUI, so you won’t be able to book them with anyone else in Ireland. Choose from up to 18 destinations during the summer, with direct flights from Dublin, Cork, Shannon and Ireland West Airport Knock. In winter, meanwhile, grab some sunshine in the Canaries or whisk your family on a daytrip to Lapland. With TUI, the choice is yours. 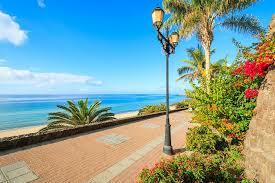 11-Jan-18, Dublin to Gran Canaria, Servatur Waikiki, Playa Del Ingles, 3*, AI, 7nights from €609pps. 19-Jan-18, Dublin to Tenerife, Catalonia Punta del Rey, Las Caletillas, 3*, AI, 7nights from €409pps. 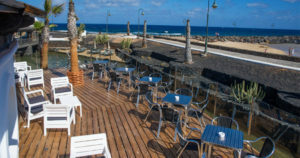 14-Jan-18, Dublin to Lanzarote, El Trebol, Costa Teguise, 3*, AI, 7nights from €599pps. 01-Feb-18, Dublin to Gran Canaria, Monte Feliz, Playa Feliz, 3*, HB, 7nights from €539pps. 01-Feb-18, Dublin to Tenerife, Catalonia Punta del Rey, Las Caletillas, 3*, AI, 7nights from €389pps. From €299pp for the 5 star Real Marina Hotel & Spa. Price is per person based on 2 adults sharing for travel in January 2018. 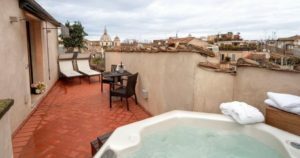 From €279pp for the 5 star Navona Palace Residenze di Charme. Price is per person based on 2 adults sharing for travel in January 2018. From €479pp for the 4 star Kornati Hotel. Price is per person based on 2 adults sharing in April 2018. From €369pp for the 4 star Sands Beach Resort. Price is per person based on 2 adults sharing for travel in January 2018. Visit www.clickandgo.com today or call (01) 539 7777 to talk to one of our experienced reservation agents today. * Prices are ‘from’ prices, based on select departure dates from Dublin. Price includes return flights, specified accommodation and airport taxes and charges where stated. Prices are per person, based on 2 adults sharing. Prices for cruises exclude gratuities. Offers are subject to availability. Terms and conditions apply. Prices exclude check-in luggage unless stated. Click&Go is fully licensed & bonded by the Commission for Aviation Regulation T.A 0700. I hope these deals will inspire you to get the new year off to a great start. Topflight and Today FM Ski Trip on Sale now!